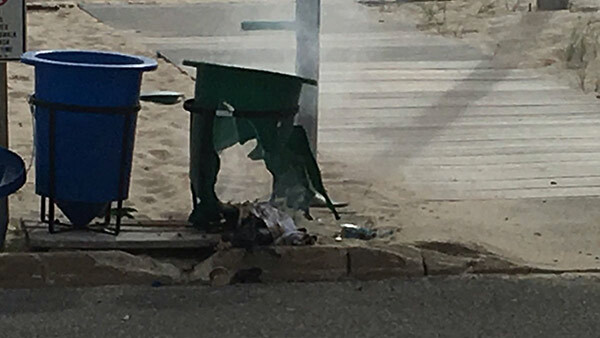 Picture courtesy: Kathy Madsen of Seaside Park, N.J.
SEASIDE PARK, N.J. -- Authorities say an explosive device discharged in a Jersey Shore town shortly before thousands of runners were due to take part in a charity 5K race to benefit marines and sailors. The race - the third annual Semper Five run - was canceled. The device was in a garbage can when it exploded. Authorities immediately cleared the boardwalk and beach area. It wasn't clear when the boardwalk and beach will reopen.